For all of you that knew and loved my best friend, Dr. Howard S. Smith, this blog page is dedicated to him and posted on the anniversary date of his departure from our world. 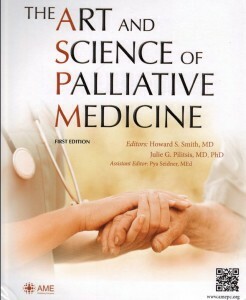 On July 2, 2014 his wife Joan Smith hand delivered his just released book, The ART and SCIENCE of PALLIATIVE MEDICINE. Below are copies of the memoriams as they appear on the first few pages. For all that knew and loved him (colleagues, family, friends, and neighbors), I invite you to add your own memoriam below. Howard Steven Smith, MD, known to his friends as “Howie,” left the world on Wednesday, May 8, 2013. Howie was a distinguished physician, having completed training and receiving board certification in anesthesiology with a subspecialty in pain medicine, internal medicine, and nuclear medicine. Born in San Francisco, California, Howard Smith grew up in East Meadow, New York, completing his medical school and residencies in Chicago, Albany, Cincinnati, and New York. He held many positions in various departments as an academician along with multiple positions as a prolific researcher with a wide range of publications. He was editor-in-chief of two pain journals-Pain Physician and Journal of Pain Research. Howie was not only a prolific writer, but he was also a scientist. His publications ranged from basic science to clinical aspects of patient management. He was a great teacher and guided many with his knowledge and wisdom. His involvement in the American Society of Interventional Pain Physicians (ASIPP) since its inception was intense in all aspects including teaching with participation in board reviews and publication of evidence-based guidelines of interventional techniques and opioids. Above all, he was a loving husband, father, son, and brother. Howie’s loss is such that no one can express in words personally and professionally for all of us who have been associated with him. I don’t think I ever met a better listener or someone more interested in his colleagues’ points of view than Howard Smith. It is rare that you talk to someone these days who is not fiddling with their cell phone or answering their email while nodding at every fifth word you say as if to say, “I’m listening (to every fifth word you say).” Talking to Howard was so utterly different than that; he always seemed genuinely fascinated by what you were saying. As many of us know, Howard was a prolific editor of books and now that I think of it, I can see the connection between his listening ability and why he so often took on this thankless task – because he wanted to present not just his own views to alleviate the suffering of those with chronic pain, but those of his colleagues. He valued them and he wanted everyone else to have the opportunity to see them as well. Howard and I published together a number of times; one of these instances was a textbook on pain and chemical dependency. When it was done he flipped a coin in Albany (while I was on the phone from NYC) to see whose name was to be listed first. Has there ever lived more honest, less egotistical person than Howard whom you could trust to do an absentee coin flip? The byline reads Smith and Passik. The world has lost a gentle, wonderful soul and an advocate for the suffering. When I miss him I will look at this book and be content to simply see my name next to his and remember what it felt like to share ideas with him and be truly listened to. Dr. Howard Smith (Howie as we knew him) was my best friend, neighbor, and partner in pain. He was a dedicated husband to his wife Joan, father to his adored daughter Alyssa and sons Joshua, Benjamin, and Eric (in age and alphabetical order to be fair as Howie always was), and of course his yellow lab canine companion Maggie. He was a jovial man that everyone loved; he’d give you the shirt off his back, and he had the heart of a saint. Howie was the most unpretentious man I’ve ever known. He often spoke of world-renowned pain and palliative care scholars and their various interests and accolades without ever considering that he was actually one of them. He also recognized the import of a team approach to patient care and treated each member, from every conceivable discipline, with respect as he listened intently to any perspective and insight anyone had to offer. Howie was a respected scholar, teacher, medical doctor, and anesthesiologist with a long list of accolades, board certifications and scholarly achievements, not the least of which were perhaps hundreds of publications dedicated to improving outcomes for pain sufferers. But he was a family man too who enjoyed watching his children play sports, vacations at theNarragansett beaches, outings to Disney Parks, and an evening around the camp fire eating marshmallows, smiling and laughing vociferously with family friends. I worked with him in his Pain Clinic several years ago as a doctoral student. His bedside manner was impeccable. I remember him saying that even if we can’t help the patient, we can make them feel better by listening-and listen he did. Howie would sit with his patients and listen intently to their stories. He wouldn’t rush anybody; he’d just listen and nod his head, listen some more, nod again and hold their hands and warm their hearts. Everybody loved him. It was true, at least half of the job was listening to the patient and he taught that to all of his pain disciples with compassion and vigor. In a world of technology, word processing, text messaging, and the like, Howie insisted on doing things the old fashion way. He was a brilliant scholar that refused to succumb to the electronic disconnect that has become the norm. He told his coworkers and friends that he wasn’t good with computers, but few know the real reasons he spurned technology. In a weak moment, he once told me that he liked to hold a hard copy in his hands as he read and reviewed various writings because he felt closer to the persons that spent so much time and effort on whatever works he was reviewing. Howie was peaceful, gentle, kind, and dedicated. His legacy includes loving-kindness, warm smiles, heartfelt handshakes he insisted on at each encounter, skillful clinician, teachings, writings, family, friendship, and his passion to selflessly make life better for everyone else here in the United States and by his many visits to China and around the globe. Indeed Dr. Howard Smith will be sorely missed, but his zest for life will live on for eternity in the hearts and minds of all those he touched. Ever since my friend, Howie passed away, I have been reflecting on his life and how remarkable he was. His life was devoted to advancing the field of pain medicine. This is reflected by the many contributions he made to the field. He wrote several books, served on editorial boards of several journals, and, finally, published numerous high quality articles. Most importantly, he was dedicated to his patients. As such, the pain world is poorer for the loss of a dedicated doctor, Dr. Howard Smith, who worked tirelessly to train, mentor, and inspire and collaborate with many of our current prominent Pain Physicians. It was a pleasure to hear his views on so many areas medical research, clinical medicine, policy and politics of medical societies, etc. In sum, Howie was a deeply thoughtful and smart man, who will be missed by his patients, friends and trainees. On a personal note, Howie was my best friend, a trusted friend with whom I could always enjoy being with to share my joy and frustration. We genuinely enjoyed each other’s company. We frequently called each other to share our successes and failures, happiness, joy and sadness. We frequently checked on each other that both of us were OK. It was always a joy to have him around, sip a beer or two and have interesting conversations and toast ideas. My friend was a down to earth gentleman and a type of person whom anyone liked to have around all the time. He truly had a big heart, a bright mind and a clear soul. Anywhere he went, he fitted in very quickly and everyone loved him immediately. He just seemed to have a special magnet. Finally, I was blessed and fortunate to have traveled with him during his last trip to Busan, South Korea where we both had a good time. We talked a lot about everything including about where the pain medicine is heading to. We enjoyed our stay and were planning our next get together at a future meeting. He left Busan alone and came back home while I stayed there a day more. Unfortunately, I was informed that he passed a few days later. I was shocked and did not believe what I heard. It felt like a dream. I am still in disbelief and denial. I cannot believe that he is no longer with us. What a lost! I miss my friend Howie and his memories live forever-May his soul rest in peace! Thank you for your kind words Dr. Bruce. You’re welcome, Dr. Fudin. I had no idea. I saw this today for the first time and I’m filled with sadness. I knew Howie as a little boy. He and my cousin, Stevie, were the dynamic duo in the neighborhood. They were adorable, mischievous, curious, bright, and could talk themselves out of any trouble they might have gotten themselves into. As an example, one summer, Howie and Stevie, about 5 years old, decided to play mailman. They took the mail out of everyone’s boxes and redistributed it. This went on for weeks until they were caught in the act. Their explanation? “We were helping.” As Howie got older he was always kind and gentle. May his memory be a blessing. Yet another aspect of his selfless character was that of helping a Russian Orthopaedic surgeon who was visiting Albany Medical Center in 2006. Evgeny’s goal was to practice his specialty in the U.S. – a very unlikely scenario as it required retraining in Orthopaedics in the U.S., a specialty with only 1% international graduates. But Howie (who refused to be called Dr. Smith) helped in every way he could – including introducing Evgney to Dr. Mousa at Albany College of Pharmacy. Joining Dr. Mousa’s research with Howie’s recommendation was the beginning of his U.S. journey. He did great work with Dr. Mousa and eventually applied to and was accepted to an Orthopaedic fellowship in joint replacement followed by a 5-year residency in the specialty he loves. Now completing a Trauma fellowship before returning to his residency alma mater, Univeristy at Buffalo, he knows that Howie’s letters of recommendation and hours of advice and counseling – when most people told him he didn’t have a chance – were critically important to his American Dream coming true. Forever grateful, this was just one of the many lives Howie touched…and changed for the better. Thank you so much for sharing that heartwarming story! I was Howie’s roommate as an undergraduate at SUNY Albany for just a couple of years and just learned of his demise. I am deeply saddened because I have not stayed in touch with him for several years now and realize what a great loss I am now a part of. You all wrote such kind things about him and you knew him as a professional colleague and friend but I can tell you the same kindness and caring that you mentioned in your tributes existed in him when he was a young man also. He was thoughtful and courteous in a time when we around him were mostly immature and self-centered. He was truly a shinning light of goodness for all those around him and one of the best people I have ever had the privilege of calling my friend. I’m late to the tribute, but I loved Howie and it’s a joy to take a moment to remember him. I miss him and his cramped, messy office at AMC. Thanks to all of you for your wonderful words. Never too late Heather. THANK YOU! A moving tribute to a beautiful man. something to help the patient. I was not blessed in this mortal life with the privilege of meeting or working directly with Dr. Smith. Yet his influence nurtured the fledgling pain care provider I would become. I read his “Drugs For Pain” cover to cover many times. And I count as a great honor that, prior to his passing, Dr. Smith had offered to collaborate with me on a chapter for a book in its planning stages. The outpouring of sentiment and love evident in the paragraphs posted here by his many friends and fans but scratches the surface of the doctor’s compassionate career and the ongoing influence his life’s works has on our world. This creation is, itself, a work or art. A lovely tribute to a truly inspiring pain champion. Thank you. Thank you Jeff, for giving us the opportunity to “pen” something about Howard. I do miss the interactions I had with him over the years. He was a brilliant and talented physician and a valuable asset to those of us who have journeyed through the pain management specialty for the past many years. Howard, by virtue of his being a bit shorter than his colleagues, always joked with me about really “seeing eye to eye” which gave us a unique friendship. I truly miss the opportunity to continue to see “eye to eye” with him. As an educator, in the times I worked with Howard, he was an incredibly astute clinician who could bring the most relevant information to each and every audience, while maintaining the highest level of scientific accuracy. I appreciated his abilities in all the various interactions we had. My best to Howard’s family. I trust they will know how much we miss him and appreciated him while he was with us. 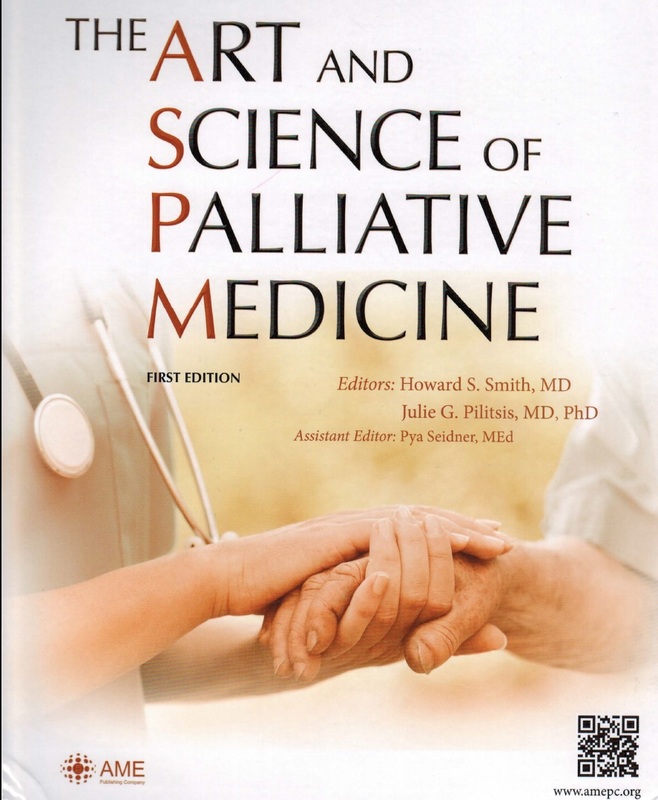 Dr. Howard Smith remains my dear and cherished colleague, both in my memory and in perpetuity as writing partners in scholarly publications, produced as collaborations between two deeply committed physicians who took their vows of service to individual and public health to heart. That said, I cannot think of Howie without a smile “too big for my face”, as his charming company always was accompanied by almost continuous laughter….we brought out the hilarity in each other, and that was a priceless and everlasting gift. I had only a very brief encounter with Dr. Howard Smith and spoke with him on conference calls several times in connection with a project we were working on a couple of years ago but I was always uplifted by his spirit of kindness and cooperation. As I read the heartfelt comments of Dr. Smith’s closest friends,the few fleeting moments that I was privileged to speak with him become even more precious to me. May he rest in peace and thank you, Jeff, for setting this up for Dr. Smith’s many many friends to express their sentiments on the much too early passing of a dear and caring person.